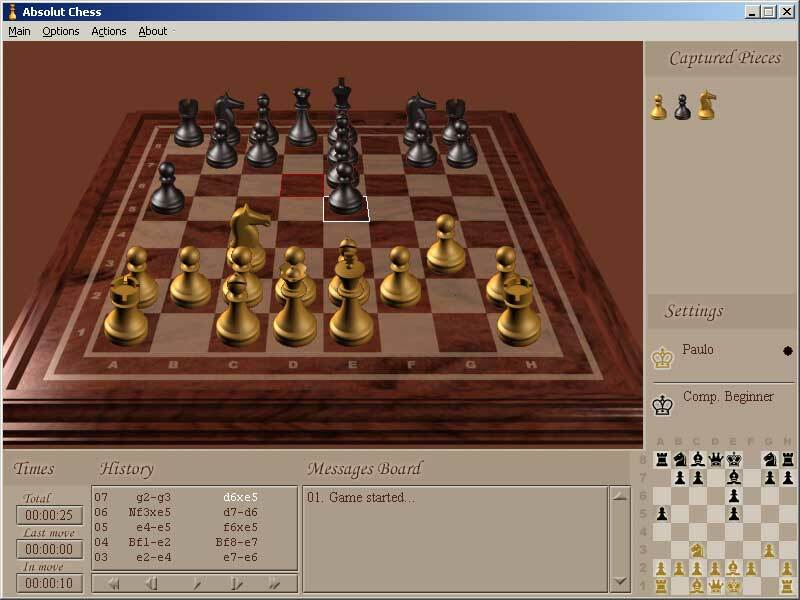 Absolut Chess (AC) is a funny and complete chess for all players. It allows battles in computers nets (LANs and Internet) where your opponent plays remotely with you, or front-to-front battles, where the two players combat in a single computer. When the choice is to face the machine, AC presents 3 levels of difficulties that will prepare you to future fights.